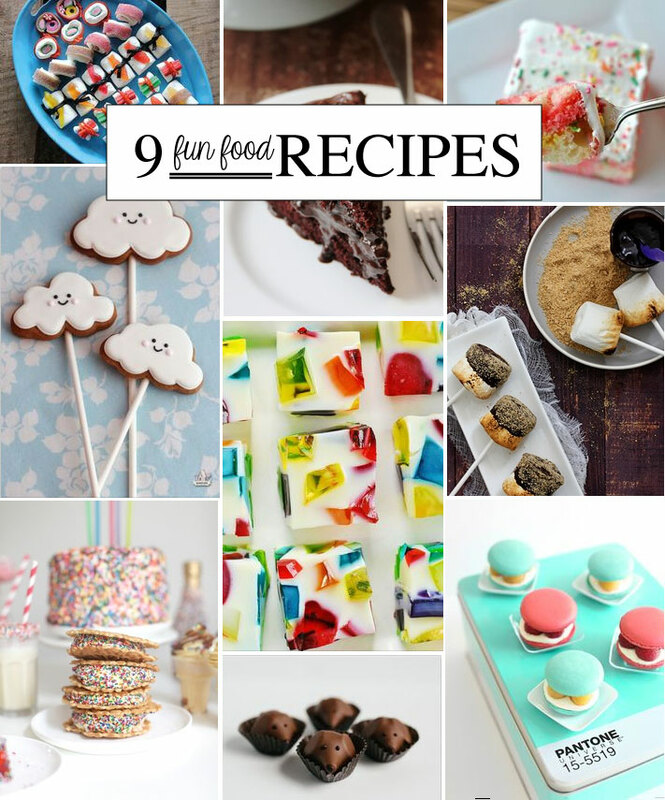 9 Fun Food Recipes to Bookmark! Have you noticed all the fun food lately? I've been collecting a heap of them recently and thought it was time to start sharing them here. 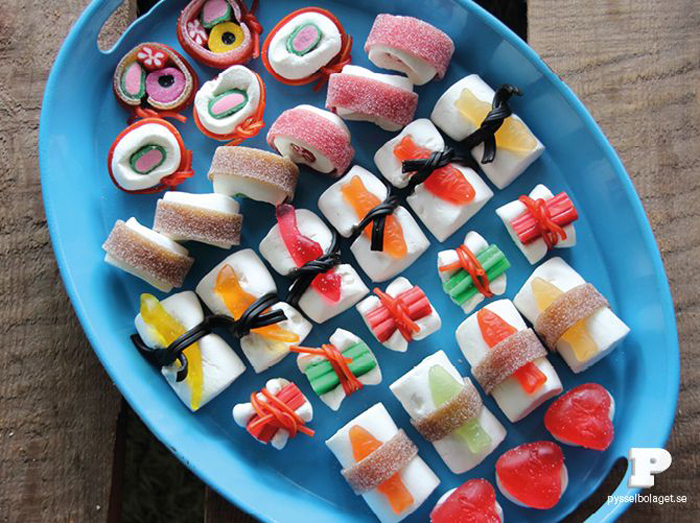 From DIY sushi candies to pantone macarons, these are ones to make note of. Impress your friends, impress yourself, 9 fun food recipes to bookmark. These remind me of one of my first blog posts (circa 2005) when Not Martha made some fun sushi rolls made using hostess cakes. And they look equally impressive using marshmalows, gummy fish and assorted licorice. Get the how to from Pysselbolaget (in Swedish). 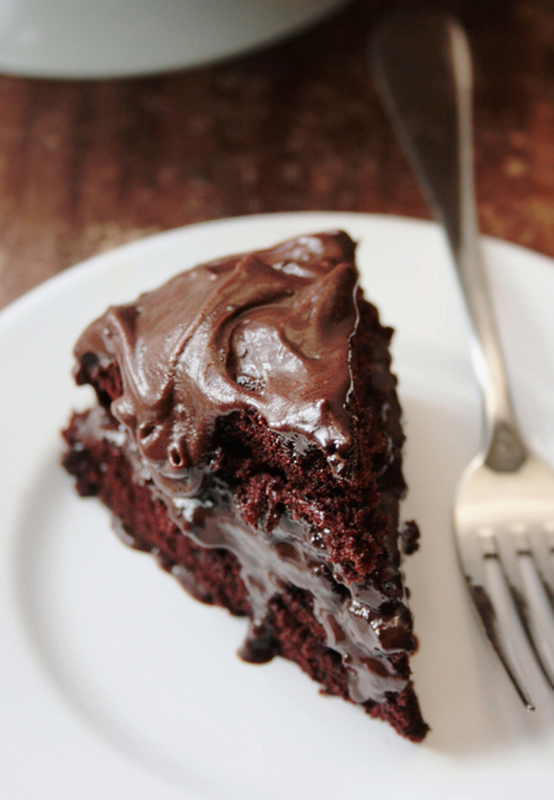 This chocolate fave looks simply amazing and definitely needs to be included in the fun section. Get the how-to here. 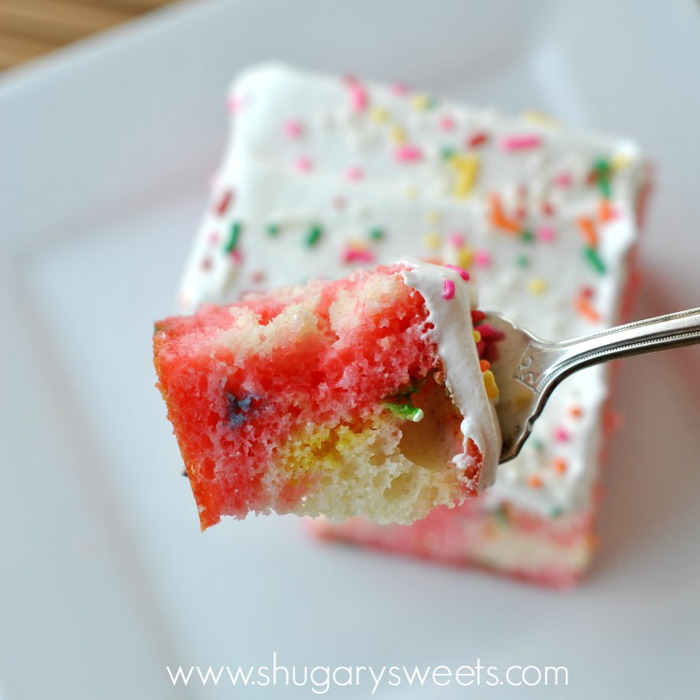 With a funfetti twist! Need we say more? Get the recipe here. 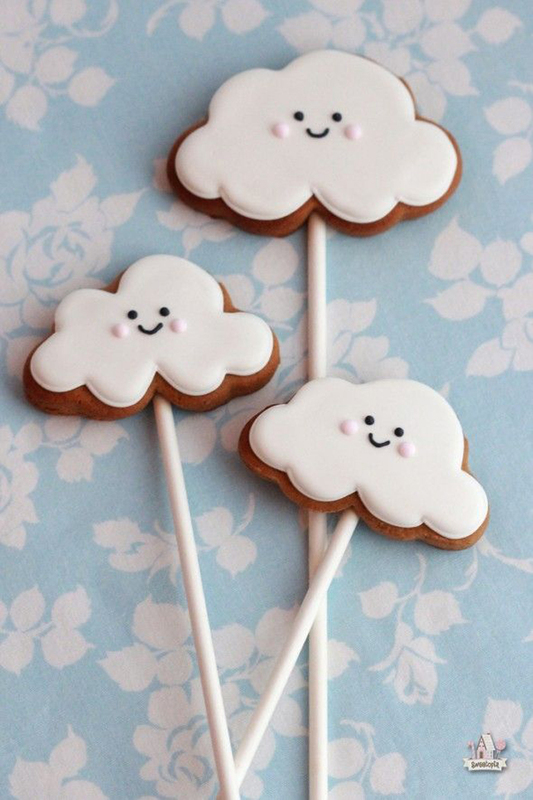 Super cute cloud cookie pops to cheery up any rainy day. The recipe includes a delicious cinnamon molasses cookie recipe. From Sweetopia. This is the recipe that started this post. 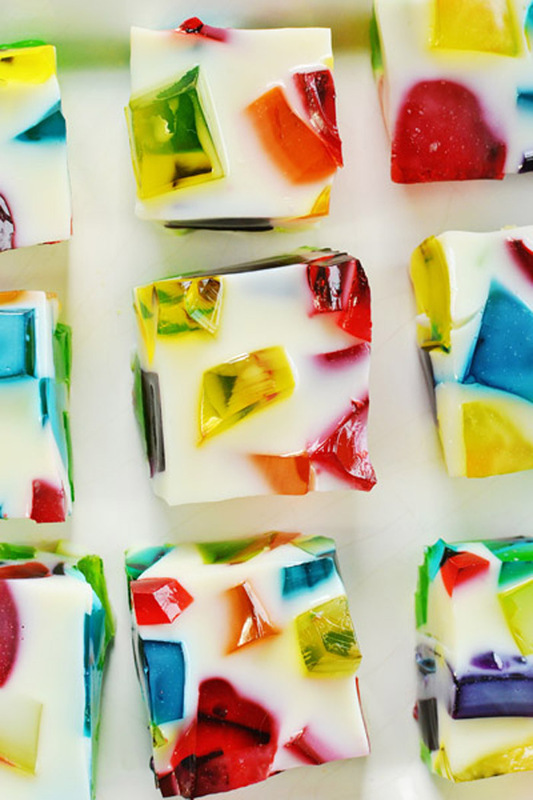 A fun jello recipe where you get to create a heap of different colored jellos, then afterwards combine them into a fun stained glass look desert! Get the recipe here. 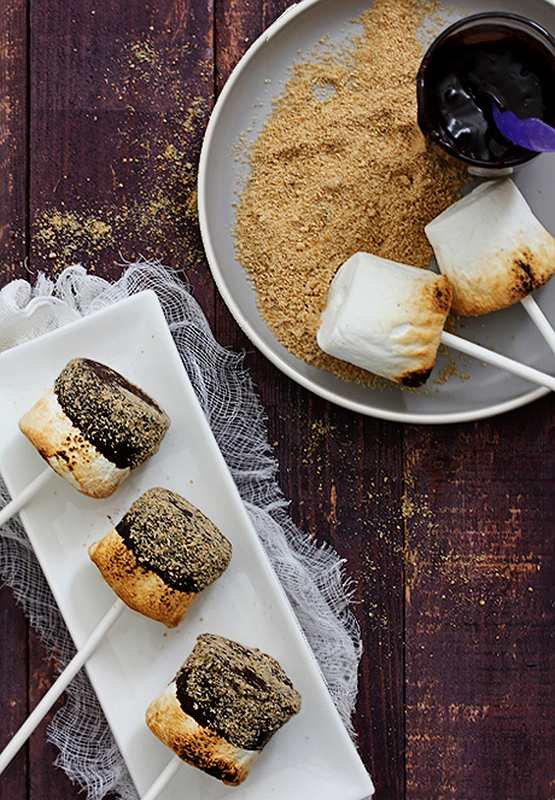 Toasted on the open flame of a stove top then dipped in dark chocolate and rolled in some crushed graham cracker. Get the info at Bakers Royale. What could be better? 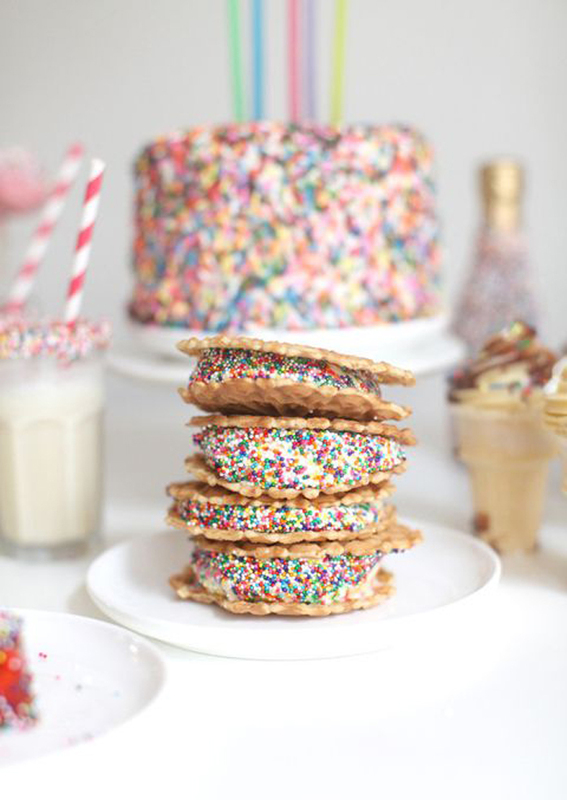 Nothing like a sprinkle party! More info at Lark and Linen. Ok (this is not a recipe) but not to be missed. 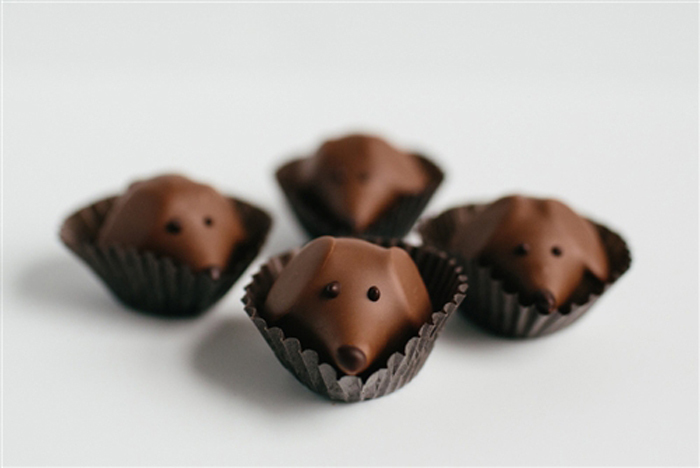 These peanut butter pups can be purchased from Gearharts where 5% of all Peanut Butter Pups sales to Companions for Heroes, an organization that matches rescue pets as companion animals to our nation’s wounded veterans. Via dog-milk.com. 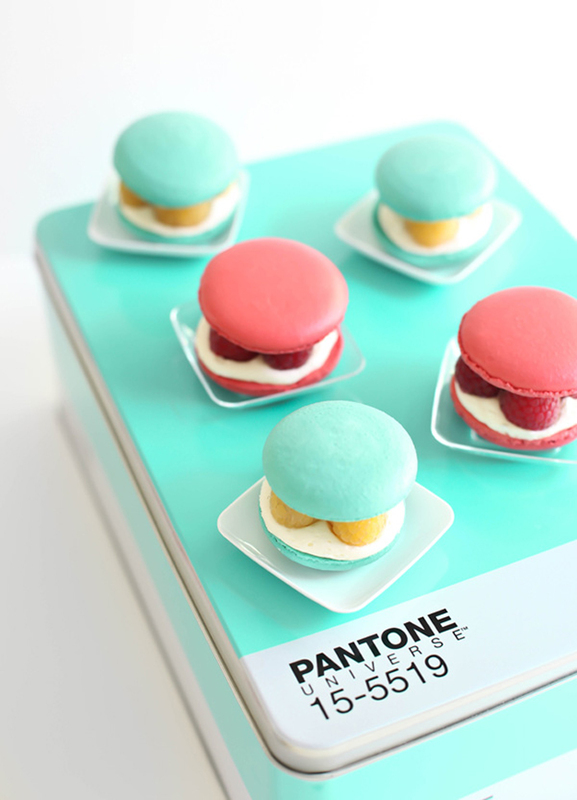 Be inspired by these cute pantone-inspired macarons. Image from Sprinkle Bakes. Get the recipe here. I love that sushi! Such a fun idea for a party.